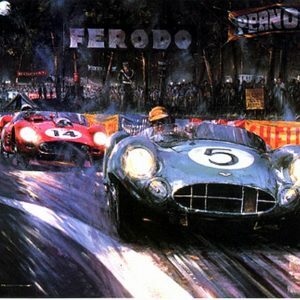 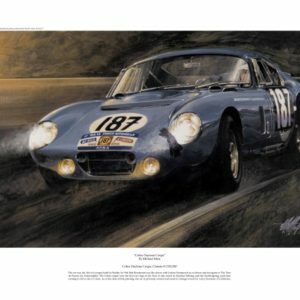 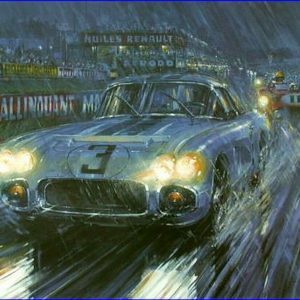 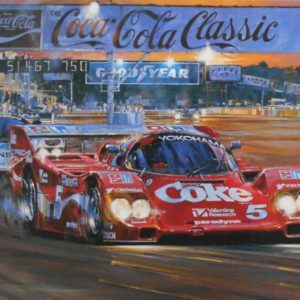 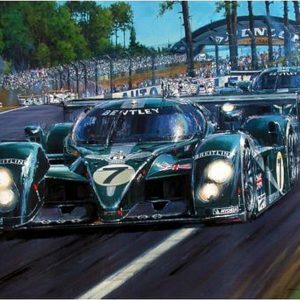 A limited edition of 500 prints depicting the winning Porsche 962 of Akin, Stuck and Gartner during the last Sebring 12 Hour to use the old airfield circuit in 1986. 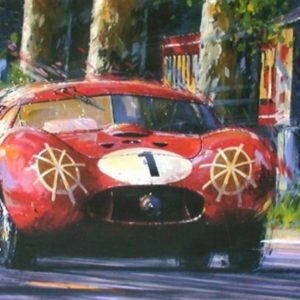 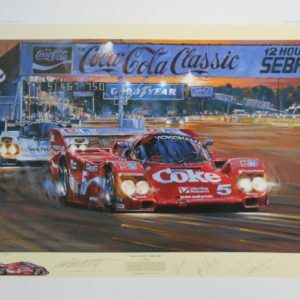 Autographed by drivers and signed by Nicholas Watts, the artist, too! 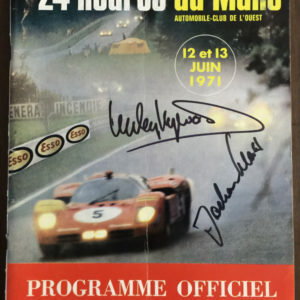 Try to find this one with these signatures. 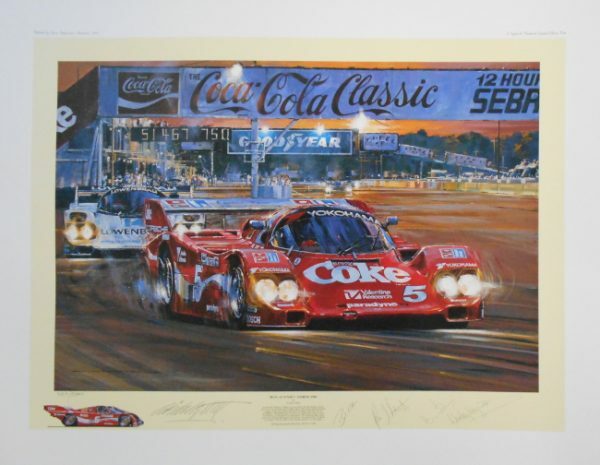 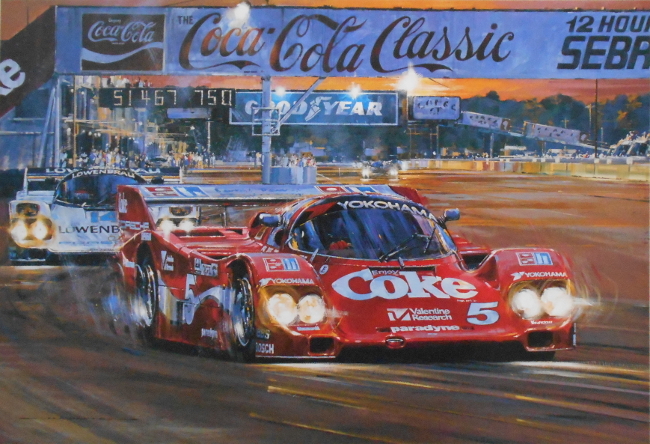 Colorful print with Coca Cola Banner in background of the Coke Porsche 962.